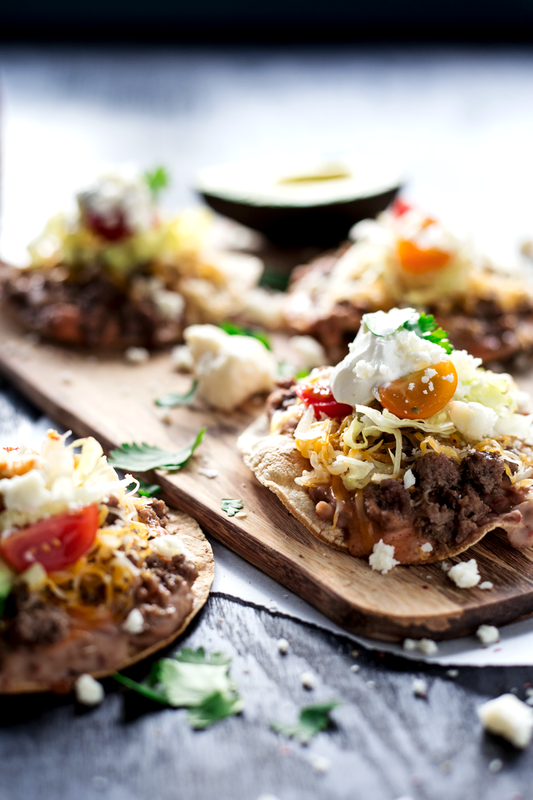 These Easy Beefy Chalupas Compuestas are quite possibly everyone’s favorite dinner. 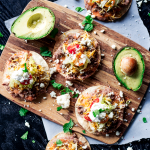 It’s like eating a dinner plate, except the dinner plate is made of crispy corn tortilla, and it’s topped with all those things you might find in a taco, but better cause you have refried beans and CHALUPA SAUCE. You can’t get chalupa sauce in a restaurant, oh no, and once you have this chalupa sauce, you will hate all restaurant chalupas for not having chalupa sauce. 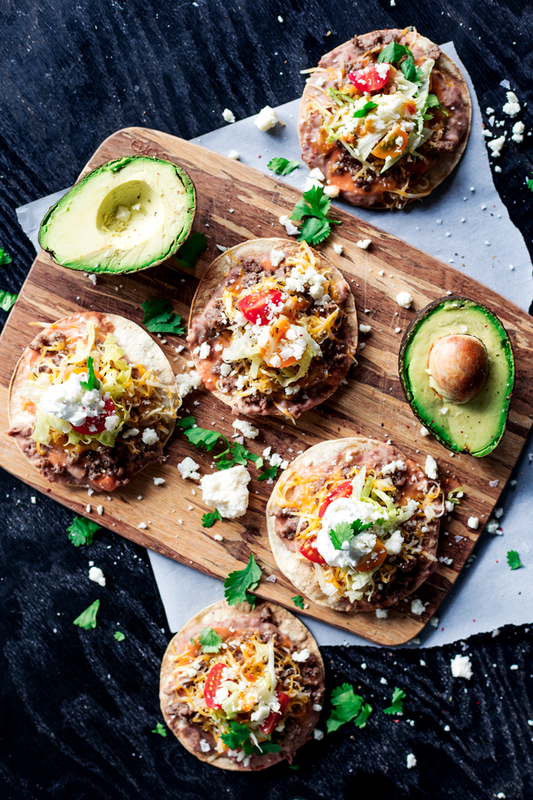 Can we talk for a minute about these refried beans? 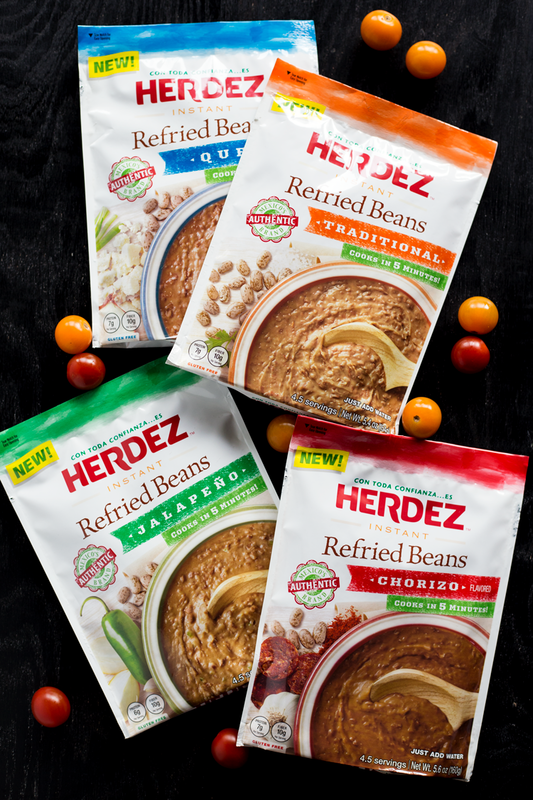 I know you guys are familiar with HERDEZ because I love them so so much, but these Instant Refried Beans are kind of the coolest thing ever. Yes, you read that right. I said INSTANT REFRIED BEANS. All you need is a pot of hot water and BAM! 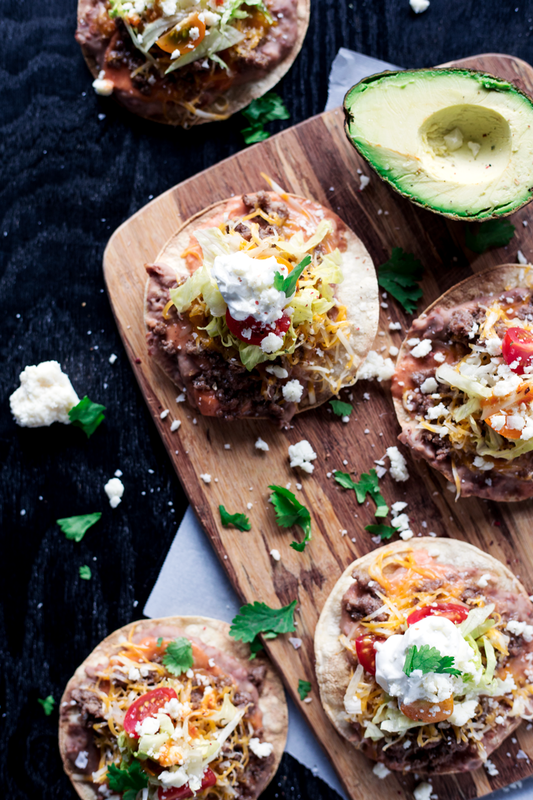 Deliciously easy refried beans in five minutes. I’m in love. Like seriously, they are delish. Even my husband was sold, and he’s a purist. These bad boys are brand new, so be sure to check out the bean aisle so you can try them for yourself! Since we eat so many chalupas compuestas here, we ended up whipping up the Traditional and then the Queso variety, and they were equally loved. So good. Now, if you weren’t already aware, chalupas compuestas actually refers to chalupas with beef on them. Normally chalupas just have beans and cheese, and maybe some lettuce and tomato. Or avocado chalupas, which just have avocado smashed all over them. Also delish. Squirt some lime juice on it, sprinkle with salt and zomg gimme. Anyway. 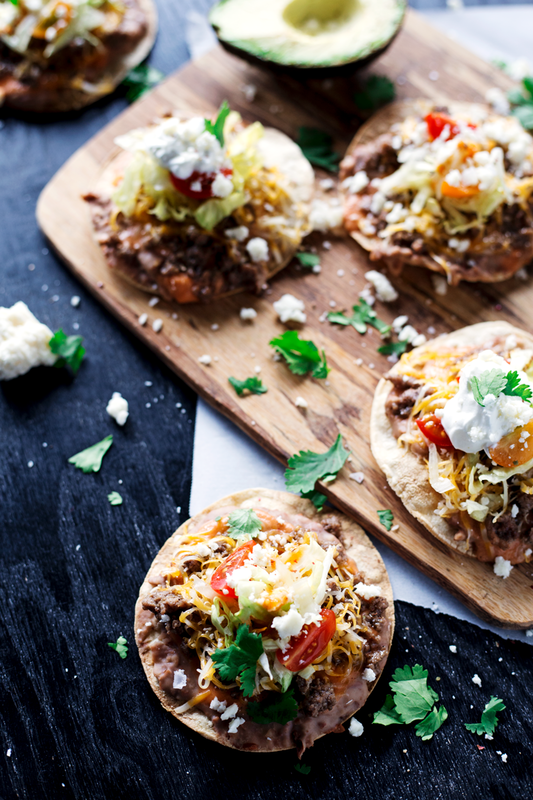 Since not everyone is fluent in Spanish, I included the beefy in the title to help you know that these are beefy chalupas. Ha. Is muh fave thing. This whole meal comes together in less than 30 minutes. Probably more like 20. So it’s great for weeknights, or whenever you need some chalupas in your life (which is constantly for me). In a large skillet over high heat, add the ground beef and cook, crumbling as it cooks, until browned, around 5 minutes. Season with salt, pepper, and garlic powder. Set aside, covered, to keep warm. Prepare the HERDEZ Instant Refried Beans as package instructs, set aside. In a small pot, heat the canola oil over medium, then add the flour and stir to combine and until no lumps are present. Add the tomato sauce, then fill the can with water and add to the mixture. Stir thoroughly, then season with the cumin, garlic powder, salt and pepper. Adjust seasoning to taste and allow to cook until thickened, around 10 minutes. On a chalupa shell, smear a thin layer of the refried beans across the surface, then add a thin layer of the chalupa sauce. Sprinkle with 1/4 cup of the ground beef, then top with the colby jack cheese, lettuce, and tomato. 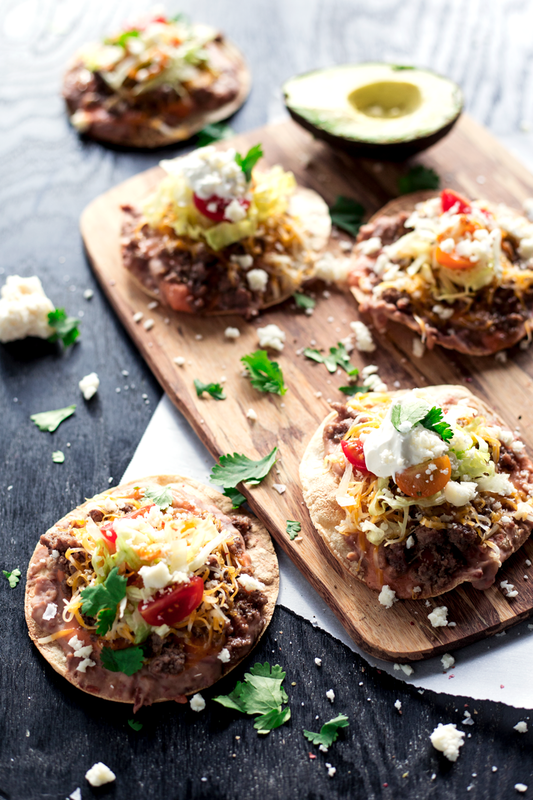 Repeat with the remaining chalupa shells, then garnish and serve immediately.